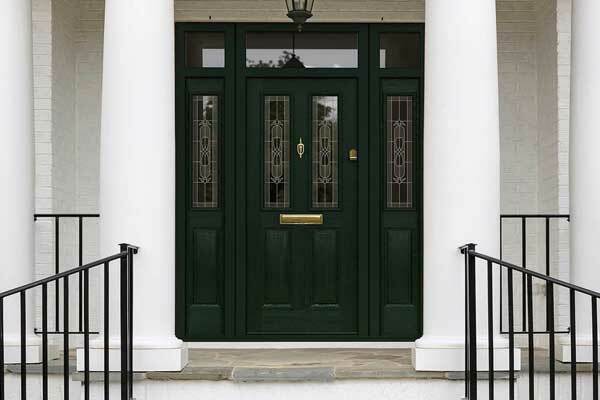 Composite doors are made from various materials, each specifically chosen for their unique properties and benefits, resulting in a powerful and robust door that is unrivalled. Composite doors are made with an outer frame, subframe and solid timber core. The outer frame is most commonly created using reinforced galvanised steel with the subframe made from uPVC elements ensuring stability and rigidity. Unlike doors made from a singular material, composite doors have superior strength. This enhances their security, insulation, durability and aesthetics. We only choose premium quality materials to create our Endurance doors to ensure the very best standards every time. We have developed and enhanced our composite doors over time to create the very best composite door product on the market. How are Endurance Composite Doors Made? Endurance doors are made up of 17 engineered timber laminates and our 48mm thick cross-bonded, veneered, laminated solid timber core. This makes our doors nearly 10% thicker than other composite doors currently available on the market. We use state of the art manufacturing techniques and the very latest in composite door technology. Our glass reinforced plastic skin makes our composite doors incredibly thermally efficient combined with our solid timber core, keeping a warm and comfortable atmosphere in your home all year round. If you want the best heat retention and impressive energy ratings, select an Endurance door. The most common types of door available include the traditional timber door and the uPVC door. Composite doors outclass them in several ways when it comes to choosing a door that will protect your home from the outside, keep your property warmer for longer, keep your home dry and moisture free as well as providing a low maintenance solution that looks visually pleasing. The materials used in our composite doors are eco-friendly and the insulating properties will help to keep your energy bills down and reduce your carbon footprint in the process. This helps contribute to a greener environment as well as keeping your home at a comfortable and regulated temperature. Some of the benefits of a composite door include the ability to tailor it to your personal taste with an array of designs and colours to choose from. At Endurance, we have the Country Collection, Urban Collection and Classic Collection, giving you a wide scope of styles to choose from. 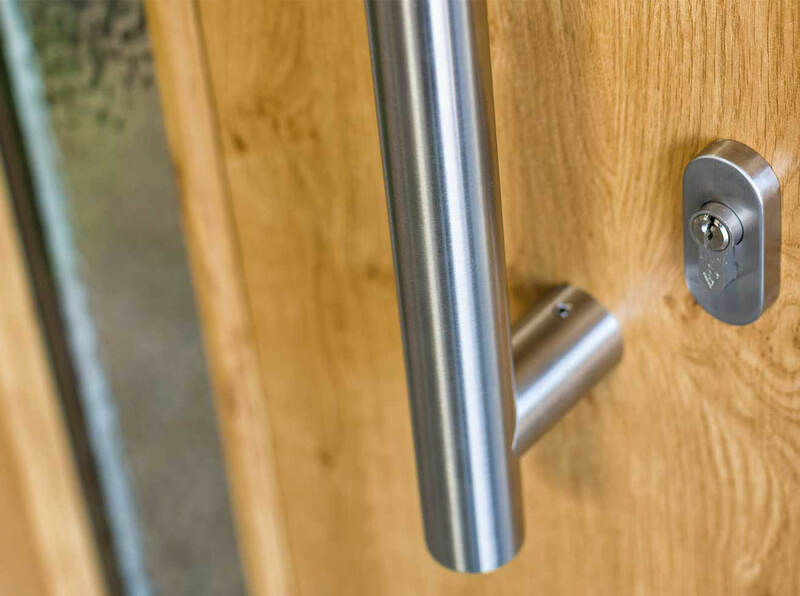 You can personalise your door further by selecting from our hardware accessories for the ultimate finish. We offer a range of competitively priced and affordable composite doors that any homeowner can enjoy. 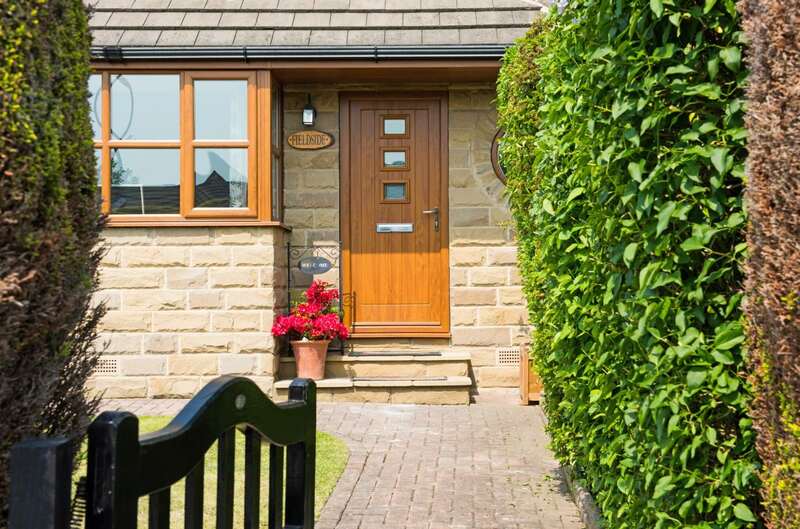 Compared to the prices of uPVC or timber doors, composite doors may be on the higher end of the price scale, however the features and benefits you gain from investing in a composite door are well worth the price. Composite doors will save you money over time by reducing your energy costs and helping to bring down your carbon footprint. If you select a composite door with glazing, you’ll also find less of a reliance on artificial light, especially in the summer months, when it comes to lighting your hall way or entrance room. Our composite doors have been put under rigorous tests and assessments to make sure that they can withstand even the most persistent attack. We’ve proven our doors to be sledgehammer proof, giving you the utmost peace of mind when it comes to the safety and protection of your family and property. To make your composite doors even more secure, you can upgrade them to include the ATK cylinder. This is the UK’s highest accredited lock range which features patented snap secure technology and is pick, drill and bump resistant. The ATK cylinder has advanced pick resistance with anti-drill pins, making it a super secure option for your Endurance composite doors. ATK is a euro cylinder with the Master Locksmith Associations highest rating – SS312 Sold Secure Diamond, TS007 3 star rating, British Kitemark and Secured by Design accreditations. With a 10 year mechanical guarantee, you’ll know you’ve made the right choice when it comes to the security selections for your home.